Female macroptera. Body and femora brown to dark brown, tibiae yellow with brown shadings; antennal segment III yellow, IV–V yellow at base; fore wings brown with base pale. Antennae 7-segmented. Head with ocellar setae III long, arising anterolateral to triangle; postocular setae I about twice length of setae II & III. Pronotum with transverse markings and about 20 small discal setae. Mesonotum with no lines of sculpture close to anterior campaniform sensilla. Metanotum transversely striate on anterior half, with longitudinal striations on posterior half, median setae arise at anterior margin, campaniform sensilla present. Fore wing first vein with setal row irregular, commonly with up to 12 setae on basal half then about 5 setae variably spaced on distal half, clavus with terminal and subterminal setae subequal in length. Abdominal tergite II with 3 (or 4) lateral setae; tergite VIII comb complete but short and irregular. Sternites III–VII with 9–16 discal setae. Male macroptera. 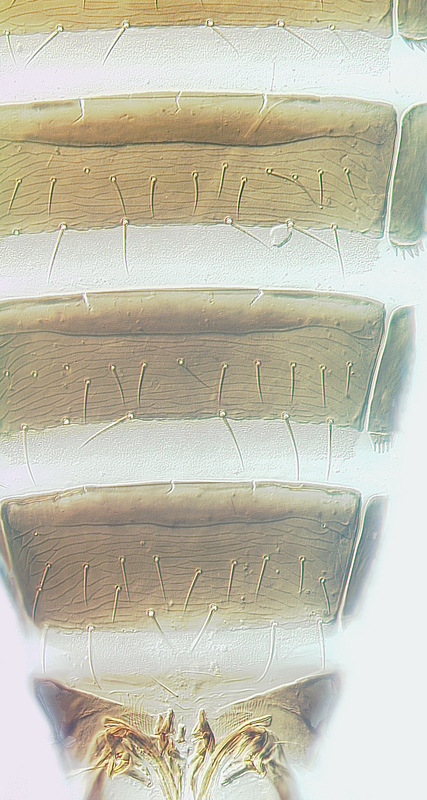 Body yellow, sternites III–VII with about 9 discal setae in row posterior to transverse pore plate. 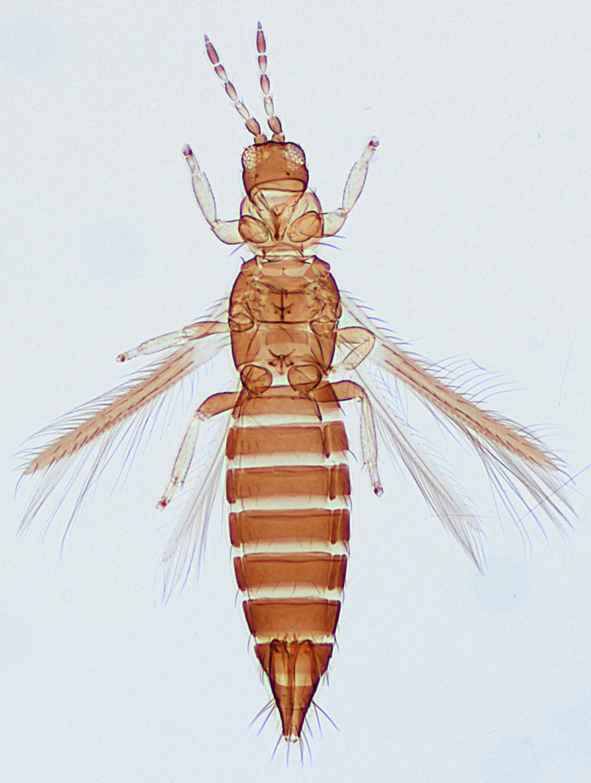 There are 33 species of Thrips genus known from Australia, out of a total of 280 species worldwide (Mound & Masumoto, 2005). 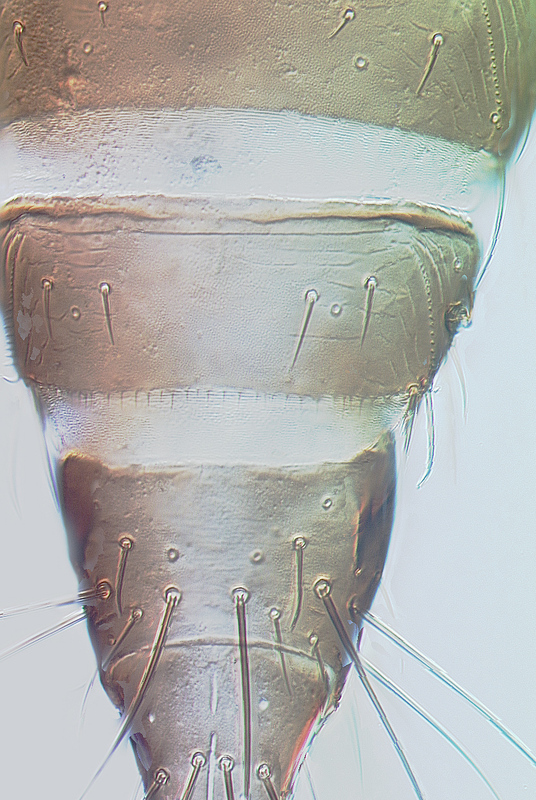 Many of these species have the antennae clearly 7-segmented, whereas others have 8 segments. Some species have two complete rows of setae on the fore wing veins, whereas others have the setal row on the first vein more or less widely interrupted. Moreover, some species have sternal discal setae, whereas other species have only marginal setae on the sternites. 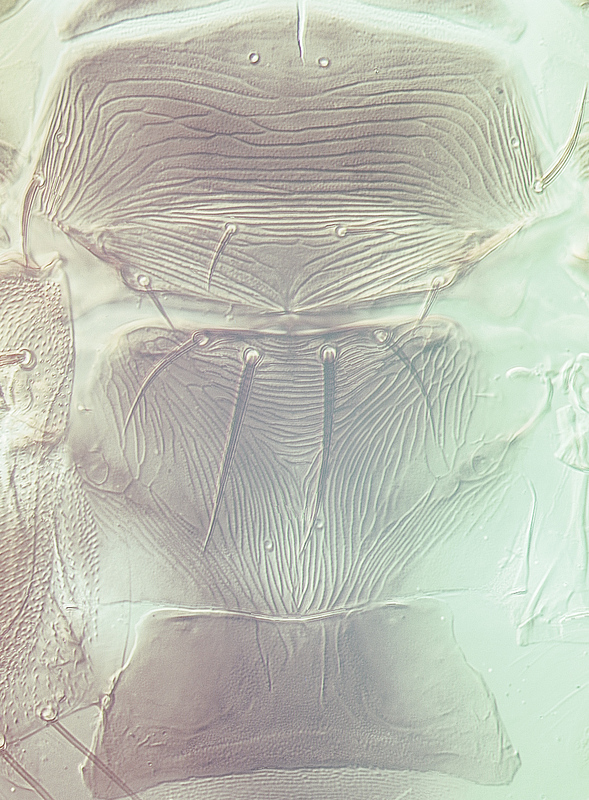 Despite this variation, all members of Thrips genus have paired ctenidia on the tergites, and on tergite VIII these are postero-mesad to the spiracles, and they also lack ocellar setae pair I in front of the first ocellus. 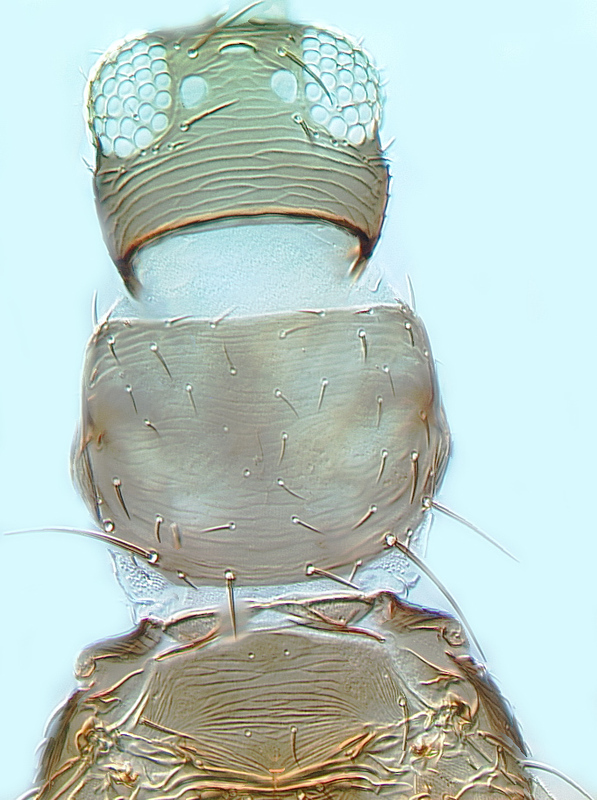 In contrast, Frankliniella species have ctenidia on tergite VIII antero-lateral to the spiracles, and a pair of setae is always present in front of the first ocellus. T. sumatrensis is closely related to T. hawaiiensis but has a more extensive, although irregular, row of setae on the first vein of the forewing, and ocellar setae III are unusually elongate. Widespread from Southeast Asia to the Pacific; Thailand, Guam, Tahiti, New Caledonia, Australia.